Have a love for Asian fusion? You’re not the only one. This culinary trend is sweeping the nation with increasing popularity, and restaurants far and wide are serving up hearty helpings of authentic Asian cuisine. 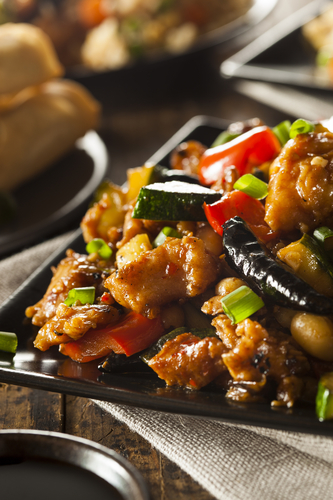 If you’re in the mood for a mouthwatering meal, A Taste of China should be your first stop. Conveniently located in Manhattan’s East Side, this Asian fusion favorite satisfies locals and tourists alike with an array of Chinese dishes and a vibrant atmosphere. Enjoy authentic favorites like Kung Pao Chicken or traditional dumplings—with Chinese dishes this good, you’re bound to come back for more. So what exactly is Asian fusion? For those unfamiliar with this unique blend of cuisines, A Taste of China hopes to shed light on its celebrated eccentricities. Fusion cuisine combines multiple culinary styles to create one-of-a-kind dishes. Any cuisines can be combined to cook up a delectable dish, and this creative freedom has led to the expansive growth of fusion restaurants across the country. Asian fusion in particular spotlights a selection of ingredients and cooking styles from several Asian cultures to create unbeatable flavor combinations. Instead of watching seafood squirm live in a tank or seeing hogs hang from the ceiling, you can enjoy Asian fusion dishes in upscale, lounge-like settings. While the Asian cuisine is authentic, its globalized touches attract hordes of customers. At A Taste of China, authentic Chinese dishes and Asian fusion favorites are served in an atmosphere that makes everyone feel at home. If you want to try something new, the imaginative concoctions of Master Chef Hui Feng will have you drooling. Come in, get comfortable, and sample delectable Chinese dishes at Manhattan’s new favorite restaurant. Want to get in on this growing trend? Gather up your group or plan date night around a trip to East Manhattan’s A Taste of China. Visit them online to learn more, or call (646) 478-7322 to make a reservation!